Pigs are intelligent, curious and empathetic animals. Sadly, on factory farms they are confined to barren, small steel cages. They are deprived of the opportunity to socialize with friends, root around for food and rest on comfortable bedding. 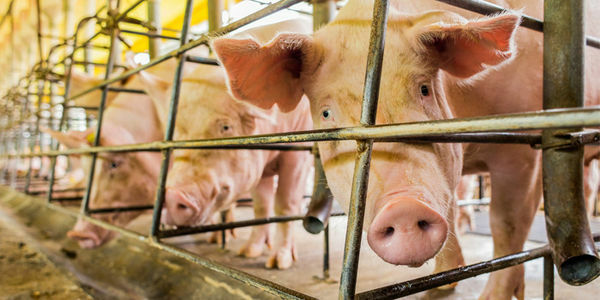 Mother pigs on factory farms have it especially bad: inseminated in a cage no bigger than an average household refrigerator; with barely enough room to move, they are unable to even turn around. Thanks to activists like you, the Retail Council of Canada (RCC) has committed to improving the welfare of pregnant pigs by raising them in group and pen housing by the end of 2022. As the deadline approaches, RCC members must have started on the path of making improvements for pigs in their supply chains. But we haven't heard much from some of the members, including Walmart. World Animal Protection is asking Walmart Canada to publicly and proudly reaffirm their promise to mother pigs. If we can convince a global leading brand like Walmart to publicly celebrate their commitment to pigs, it will pave the way for others to follow. Will you join us and tell Walmart Canada to take a stand for pigs? Sign our petition to add your voice!